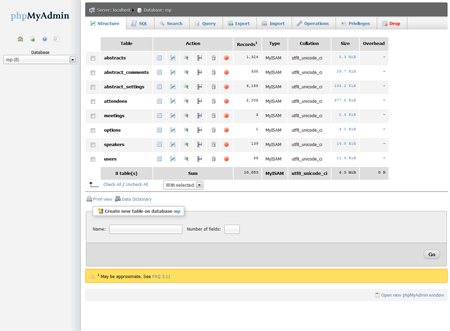 On October 19, 2011 phpMyAdmin 3.4.7 RC1 has been released, and it meet you with new features and a new design. phpMyAdmin is a tool written in PHP with which you can manage MySQL databases over the World Wide Web. 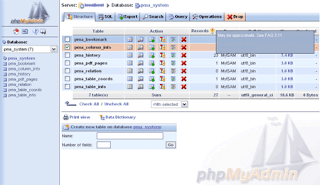 phpMyAdmin 3.4.7 RC1 supports several operations, including database administration, managing permissions, tables, fields, relations, indexes, keys, etc.. It has an intuitive interface, support the many functions of MySQL database management (manage keys on fields, browse or drop or alter tables, create or edit or delete or add fields, execute SQL statement, etc. 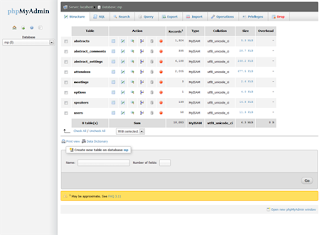 ), it can import data from CSV and SQL, it can export data in CSV format, SQL, XML, PDF, Word, and others, can manage multiple servers, can create PDF graphics to illustrate the database layout, etc..
phpMyAdmin 3.4.7 RC1 - what's new? This version is an update that came just three days away since the last (phpMyAdmin 3.4.6) and it is a bugfix release.